I already featured the fun Thanksgiving table setting ideas from Lisa Storms earlier today, but I felt like this cute turkey deserved a post of his own. 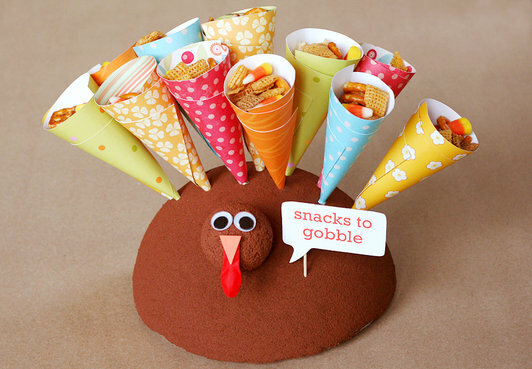 Such a clever idea for a Thanksgiving snack display. 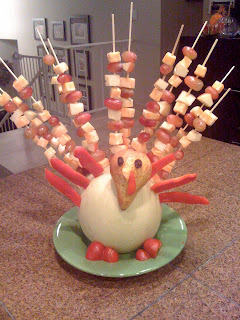 He reminds me of the cute fruit kabob turkey, but with a lot more options for snacking. 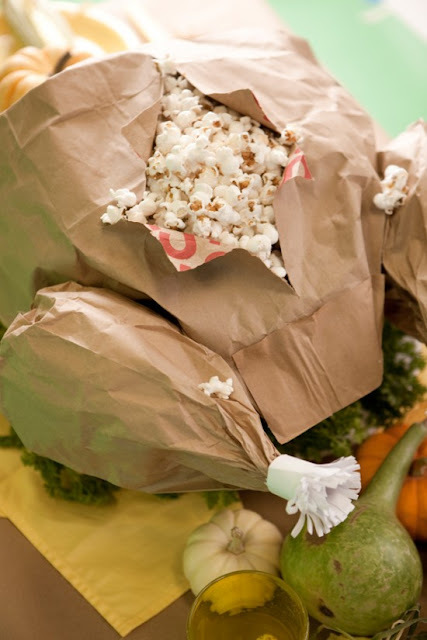 Another fun idea from last year is this paper bag turkey from One Charming Party. Inside he is hiding a popcorn snack. That first one is seriously adorable!